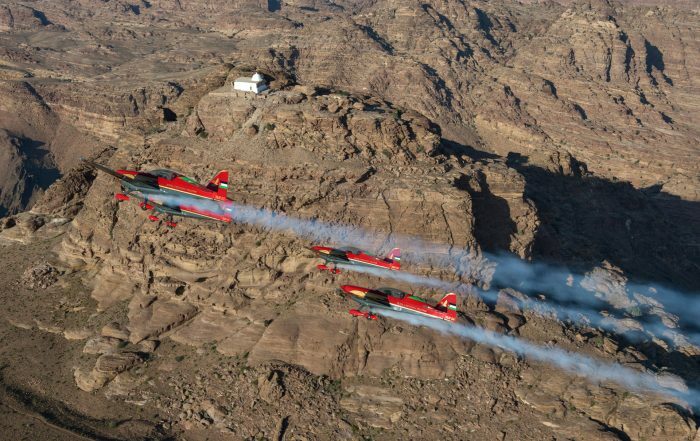 The Royal Jordanian Falcons is a perennial national aerobatic team formed in 1976 at the initiative of His Majesty the Late King Hussein Bin Talal. It has an international reputation for precision, professionalism and spectacular performance. Royal Jordanian Falcons function as a highly specialized asset for the promotion of Jordan, serving as the country’s “roving ambassadors”. 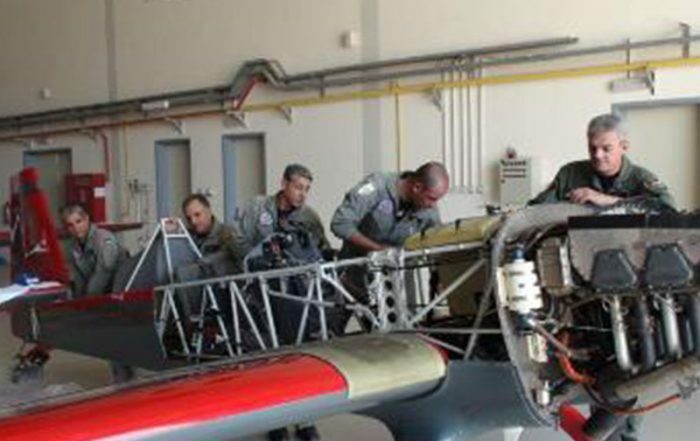 Their unique status as a professional aerobatic team allows them the opportunity not only to present the sophisticated state of aviation in Jordan, but also to promote goodwill and interest in their native country. The Royal Jordanian Falcons team presently consist of 5 Extra-330 LX aerobatic aircraft. The team headquarters has recently been transferred by Royal Decree to King Hussein International Airport in Aqaba (Red Sea), in an effort to enhance tourism and investment there.